CHRISTMAS season is a time when the message of Joy and Peace is loudly and widely heard and spread far and wide. The same holds true here in Sabah, this far eastern state of Malaysia, where all of us, irrespective of race or creed, share a common wish to live in peace and harmony. We see this as an opportune moment for us to pause and reflect on the many divine blessings we have received. This year has indeed been an extraordinary year for our state and nation. Divine power has enabled the people to reflect deeply, inspiring them to move with courage and determination towards change; change for a better way of life. The 14th general elections in May had given Malaysians the electoral ability and right to reject a regime that was corrupt and oppressive, causing great hardship and pain to the country and her citizens. The people have elected leaders they can trust, who have plans and programmes that can protect their rights and believe in the prudent use of the rich resources of our land. We are glad to announce that all ministries and agencies in the Sabah Government are now in full gear to start delivering tangible fruits and benefits of the very high expectations and demands of the rakyat. We are very confident, despite the reality of financial constraints, that given time we shall achieve the targets we have set. We are also pleased to say that our initial efforts in government interventions are already showing positive signs of improvement in Sabah. We, therefore, happily join members of Christian churches of all traditions in the State, in their celebration of Christmas. We gladly share their joy and their wish to spread the message of peace as they rejoice over the birth of Jesus. Christians refer to Jesus as the ‘Prince of Peace’. 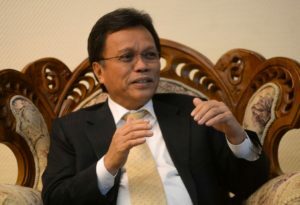 In truth, the spread of peace and harmony in our State and country should be the duty and mission of every Malaysian. Let this love for peace deeply planted in our hearts propel us to tirelessly promote peace and harmony. At the same time, we are to bravely reject all forms of plans and actions that are deemed detrimental to our peaceful and harmonious way of life. 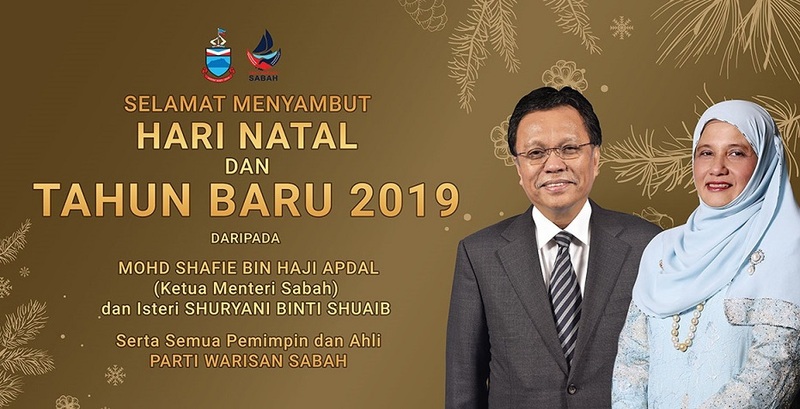 On behalf of the Sabah Government, my wife and my family, I wish you a happy and peaceful Christmas.